Follow the base recipe making the macarons, but replace the almonds with oatmeal. Make the filling of your choice. I made a ​​chocolate filling. The recipe you find here. If you want to make a filling without lactose, you can use one of these recipes jam fillings or marshmallow fillings. Sandwich the macarons. 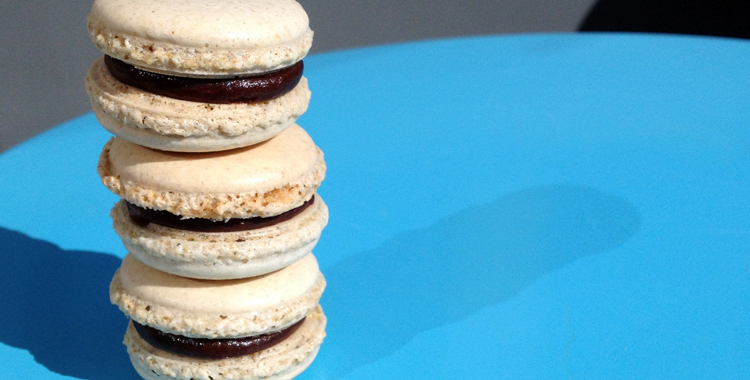 Use a teaspoon, a knife or a piping bag, whichever you prefer: turn a macaron upside down, add 1/2-1 teaspoon of filling, and press the bottom of another macaron on top of it.